Byelaw 3 returns data is considered commercially sensitive by NWIFCA and only anonymised summaries of returns data will be published in accordance with Information Commissioners Office (ICO) guidance. If you would like to submit a physical return you can download a copy of our returns form here. Enter an Email address to receive a copy of the form for your own records. The information that has been provided to NWIFCA may be used by the Authority for reporting and monitoring purposes of Byelaw 3. The Authority may disclose the information to other government agencies (HM Inland Revenue, the Department of Work and Pensions, the Department of Social Security, Customs and Exercise and the Immigration Service and Local or Port Health Authorities) for the prevention of crime. For further information please see our Privacy Notice. I affirm that the information I have provided in this return is true and accurate to the best of my knowledge. 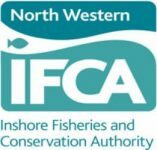 Failure to provide accurate returns on this form may constitute an offence under NWIFCA byelaws and may result in prosecution.